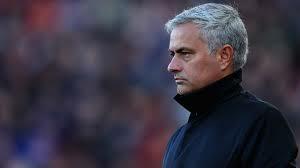 Manchester United manager, Jose Mourinho, has sympathized with Lionel Messi, after he missed a penalty in Argentina’s 1-1 draw with Iceland on Saturday. Mourinho says the Barcelona superstar did his best and was affected by the penalty miss later in the game. “Messi was trying, the one against one, the one against two, the one against three… it was difficult for him, and he still had shots on target. “Of course Argentina had the ball and tried… but Messi’s actions were always outside the box since Iceland were compact, he was trying, dribbling, shots. “Probably even in superman, even in super players, they are humans, they have feelings and I think the penalty affected him,” Mourinho told RT.